The Youth Department of the First Church of God is a special ministry that exists to equip the youth of today with vital training to live a prosperous and victorious life according to Gods way. Our Youth Department designs, develops, and implements programs and ministry opportunities that meet the spiritual and natural needs of the youth of our Church. Bible Study, youth fellowships, and other activities are used to effectively teach our youth to apply the Word of God to their lives. 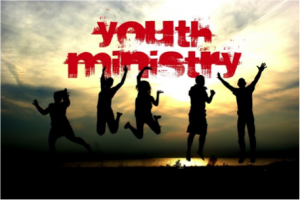 This coming up year the Youth Ministry is planning plenty of activities for our youth that will keep them grounded in Christ and not in the world. These activities allow the youth of the Church to fellowship with one another and let them know that they are never alone. The Youth will be participating in the Annual Youth Bible Bowl in April, 2009. Hallelujah Night, better known as the Youth Lock-In will be in October. Each year, these overnight events are filled with excitement. The purpose of the lock in is to bond together in the Church through conversations, games and activities. The Harvest Showcase which is a youth talent show will be in November. There will be a College Fair for our youth that will be in February. Bible Study for the youth will still be held weekly on Tuesdays at the church. Annual Christmas, Easter, and Black History programs will be performed by the Youth. Vacation Bible School will still be put into action during the month of June. Vacation Bible School is one of the greatest opportunities we have to reach all people, especially children and preschoolers, during the month of June. It continues to be one of the most productive and special events in that the Youth Ministry put together in terms of finding prospects as well as leading them to the Lord. In getting involved with the mentoring program have and will continue to serve as a vehicle to those youth that participate the opportunity to be exposed to a wholesome physical, mentally, and spiritual growth and parental support. YES WE CAN… We have no excuse. We are a family and we need each other.